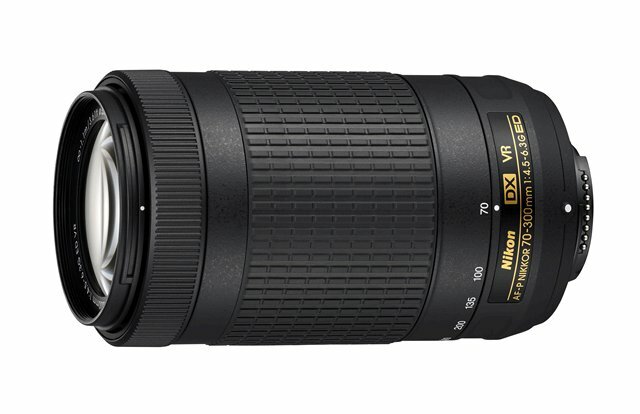 Nikon recently announced two telephoto zoom lenses compatible with Nikon DX-format digital SLR cameras. The new lenses Dubbed as AF-P DX NIKKOR 70-300mm f/4.5-6.3G ED and AF-P DX NIKKOR 70-300mm f/4.5-6.3G ED VR. Both offer a 35mm equivalent focal range of 105-450mm and ultra-fast, and the near-silent auto focus allowing users to capture fleeting moments with ease. The AF-P series of lenses always uses a special pulse motor AF system which uses stepping motors for smooth, silent focusing during both stills and video shooting. This series removes switches from the lens barrel to avoid accidentally changing settings, enabling users to change settings in their camera’s menu. Additionally, it utilizes a rounded 7-blade diaphragm for smooth bokeh. Both models feature an optical formula comprising 14 elements in 10 groups (including an ED glass element) and a 7-bladed iris diaphragm. This lenses can focus down to 3.7 feet (1.1m) at all zoom positions, for a max: magnification of 0.22x, and take 58mm screw-on filters. An ED lens element has been adopted for suppression of all types of the aberration to achieve excellent optical performance. What’s more, the AF-P DX NIKKOR 70-300mm f/4.5-6.3G ED VR is equipped with a Vibration Reduction function that offers image-stabilization compensation equivalent to a 4.0-stop increase in the shutter speed (measured in accordance with CIPA standards). The AF-P DX NIKKOR 70-300mm f/4.5-6.3G ED weighs in at just 400 grams, while the AF-P DX NIKKOR 70-300mm f/4.5-6.3G ED VR weighs 415 grams. The AF-P DX NIKKOR 70-300mm f/4.5-6.3G ED and the AF-P DX NIKKOR 70-300mm f/4.5-6.3G ED VR will be available from last week of September 2016.